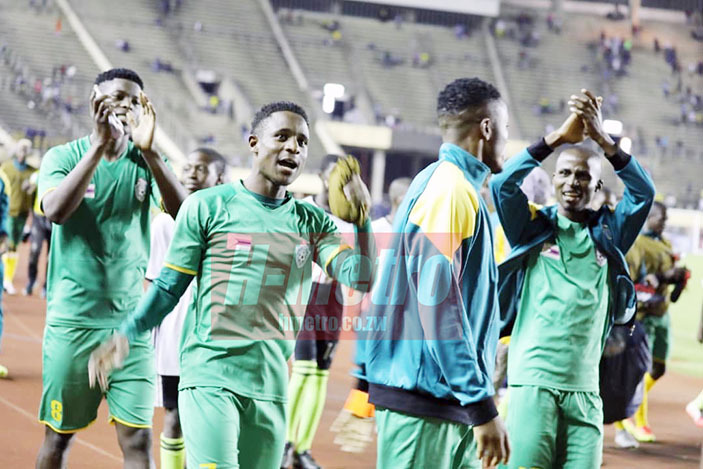 Warriors coach Sunday Chidzambwa has praised his men for managing to collect four points in the 2019 AFCON qualifiers back-to-back against a star studded Democratic Republic of Congo. Zimbabwe settled for a 1-1 draw last night after 2-1 win away in Kinshasa last Saturday. Warriors got their goal in the opening minute through Khama Billiat before Teenage Hadebe scored an own goal to earn DRC a point. The result saw the Warriors maintaining pole position of Group G sitting on eight points. A grateful Chidzambwa said DRC are not a cheap team and is content with a point at home. He, however, admitted that the team missed captain Knowledge Musona who was suspended. “I am grateful for the boys, it’s not easy to get four points against DRC. “They (DRC) once went to Nigeria and beat them at their own backyard, went to Ivory Coast and beat them as well. They are a very (very) big side. So winning away against them and get a point home is worth praising,” said Chidzambwa. “We missed him so much,” he added. Mhofu was forced to make changes to his starting lineup he announced yesterday afternoon after Danny Phiri who had a knock failed to make it. “Danny Phiri failed to make it when we did warm up and we had to make last minute changes bringing in Kevin (Moyo) and push Marshall (Munetsi) into midfield who was initially on center back,”he said. Mhofu, who also missed Alec Mudimu due to suspension, was also forced to make an early change after keeper George Chigova picked an injury.